Today, we are proud to introduce the hot-sale mod – Praxis Decimus 150W. At the first sight of Decimus 150W, you will be attracted by its superior textured and rubberized surface. The fantastic looking device deserves the sayings that is one of the most stylish high-wattage box mod so far. There is plastic-made OLED screen plus a spring loaded pin. The screen is too important to display temperature, power, resistance, and battery life. There are 15 air holes on the bottom of the Decimus mod. In the hands it’s amazing. Sandblasted surface with rubberized texture makes you feel rubbery, pretty solid. I don’t want to put it down. The 510 center pin is made of stainless steel and adjustable. Seen from its appearance, the mod is special. How about its performance? Is it amazing as well? Let’s pull the Decimus up to have a look. 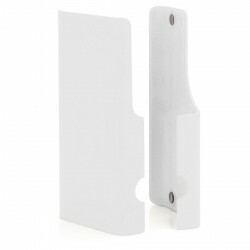 Two unique magnetized battery covers allow for full-customization, easy to change the battery door, allow customers the ability to change the appearance of the mod as their needs. 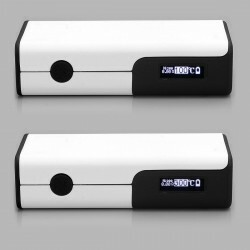 There are eight colors available for battery door at 3fvape.com. The Praxis Decimus box mod color doors fit right onto your Decimus mod and give you a unique appearance. The doors are held fast by three magnets on each side, securing them well to the mod. 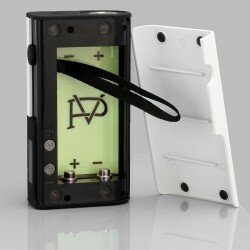 The new Decimus box mod is powered by 2 x 18650 high amp batteries. 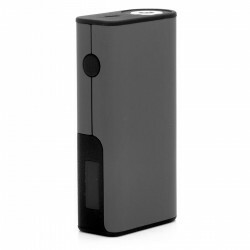 Variable wattage and variable voltage modes are compatible. 3 times click to shift VV / VW mode. 5 times click to turn ON / OFF. The variable wattage is from 5W to 150W (in 0.1W increments). The variable voltage range is from 2V to 8V (in 0.1V increments). The minimum atomizer resistance is 0.2 ohm. Thus, the 150W is for the (probably) 0.2~0.27ohm. The following is the range on the Decimus for coils within reach: 0.22ohm from 40 to 150W, 0.66ohm from 13 to 98 W, 1.5ohm from 5 to 40W. How to adjust the power up or down? First, you should find the buttons. It will take you a bit of time to find. The buttons are hidden and are inside of the battery compartment! After taking off the magnetic battery door, the + / – buttons are obvious. Although it takes your time to find, it takes you about several seconds to adjust the power from 40W to 150W. In voltage mode, you can change even faster as at lighting speed. For me, it doesn’t need temp control to be a great competitive product. The mod adopts triple-redundant device: reverse battery protection; short circuit protection; over heating protection. Good news is that from March, they add a TC function on it and you can adjust VW mod to TC mod (Ni, SS, Ti). Version 1.2 Praxis Decimus. Tanks over 30w all work great. V1.2 with TC, no TC for former version and didnot find the way to upgrade yet. The Decimus is in direct competition with mods the likes of Sigelei, IPV, iSticks and more. Decimus 150W is worth your purchase! 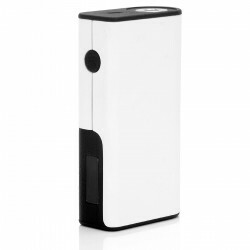 Decimus 150W is only sold $39.99 on 3fvape.com. 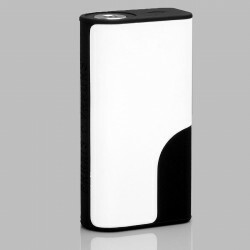 Ultra low cost, Original Decimus 150W! How to tell it’s original. Following will be the comparison between the original Praxis Decimus Mod and the clone one. When you put in the battery the Decimus mod will aromatically turn on and will shows the “CigGo” logo while the clone one won’t. I was wondering with the PWM chip inside the decimus, should it be buzzing consistently? even without firing? because that seems to be my issue. its not as loud as when firing but if held close to my ear i can hear a slight buss without touching it. Someone else did mentioned this issue before.